At the end of June, we took a cruise that departed Harwich, England. 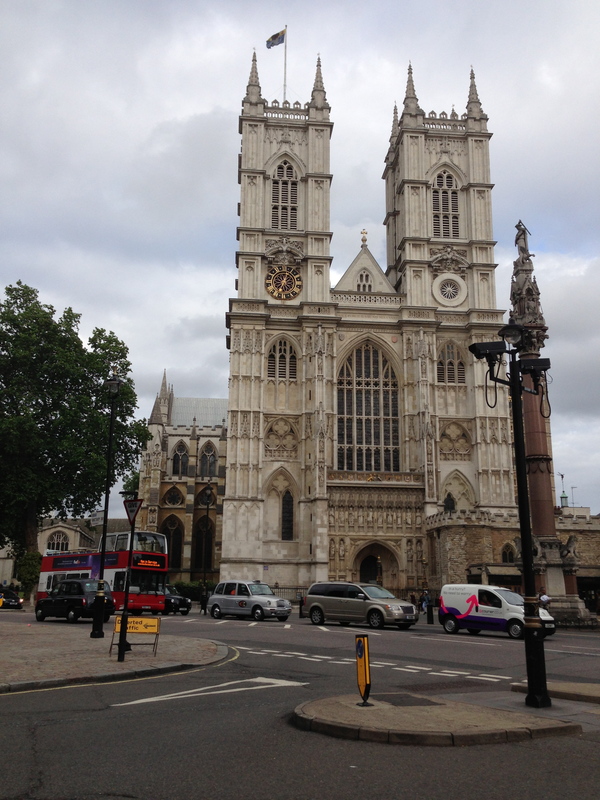 But, before our cruise, we enjoyed a weekend in London and sightseeing southern England. Although we did not spend a lot of time in London, we know we will be back and can explore more of the city at a later time. 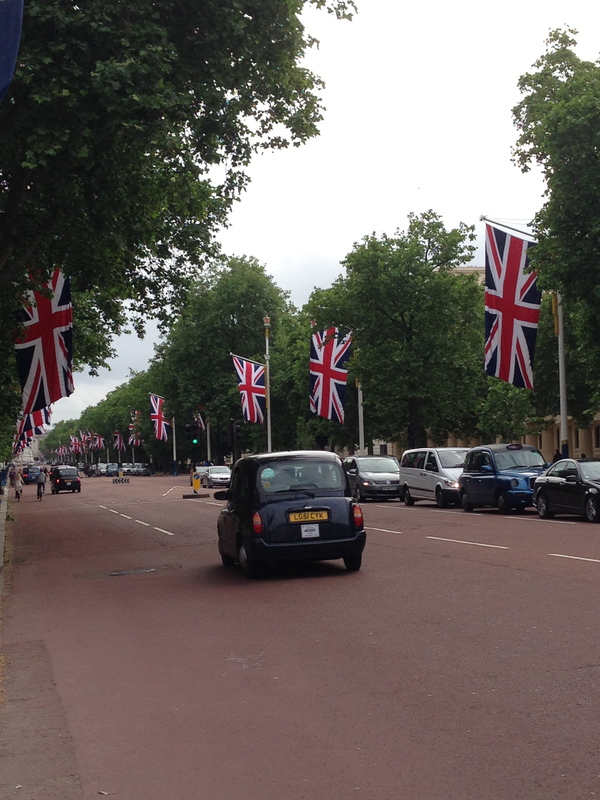 We arrived in London late in the morning on Saturday, June 22, 2013. Our first adventure was our taxi ride from Gatwick Airport to our hotel. 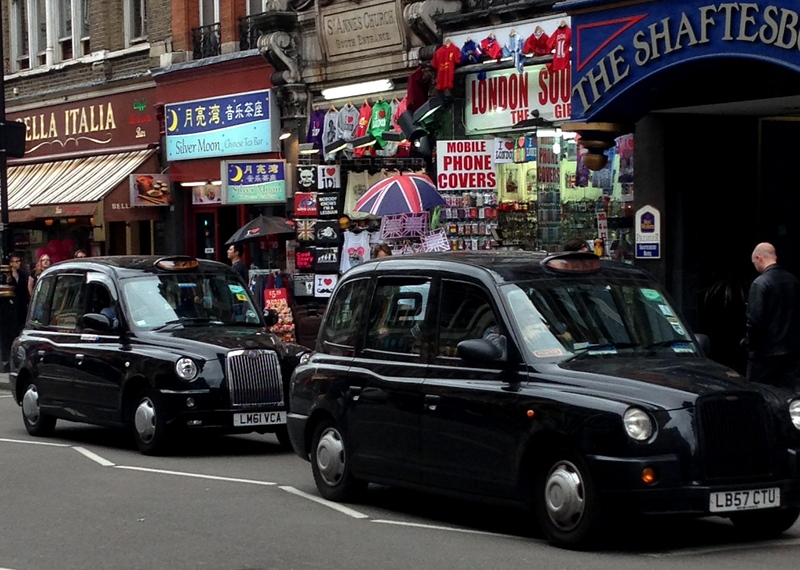 We’ve ridden in many a taxi before, but the taxis in London are fantastic! Very roomy inside. And, our driver was so helpful in pointing attractions out on our way to the hotel. Even though we arrived at our hotel before the 3pm check-in time, given that we are “seasoned” travelers, we knew if we asked we could possibly check-in early. 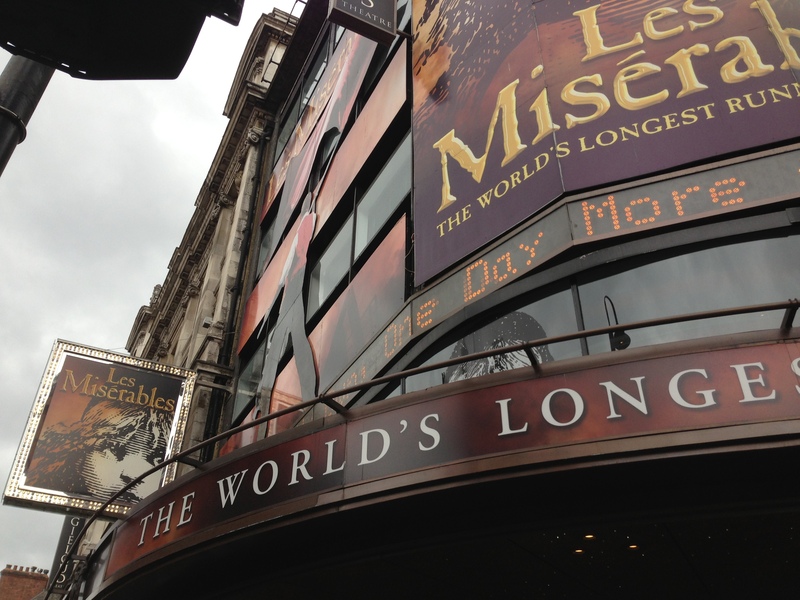 Luckily, our room was available and we were able to check-in at 11am, have a quick lunch, and get ready for our afternoon going to watch “Les Miserables” which is Amanda’s favorite musical of all time. I had not seen it, but I agree…it is a great show! The set, costumes, and songs are amazing!! After the performance, we walked back to our hotel. 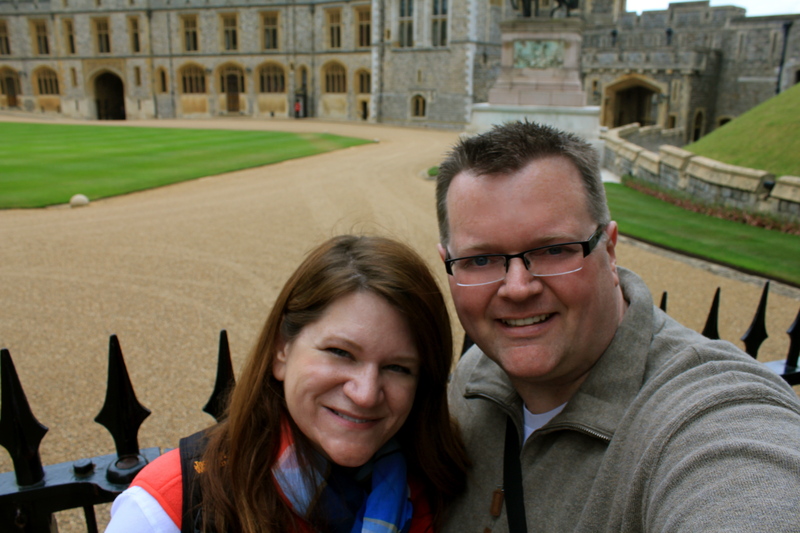 This was when we realized that we needed to add one more day to allow us to take in the true visitor sites of London. But, we were able to get a taste, and we know we will be back before we leave Germany. On Sunday, we were picked up by bus at our hotel at 7:30am for an all-day bus tour that was fantastic! 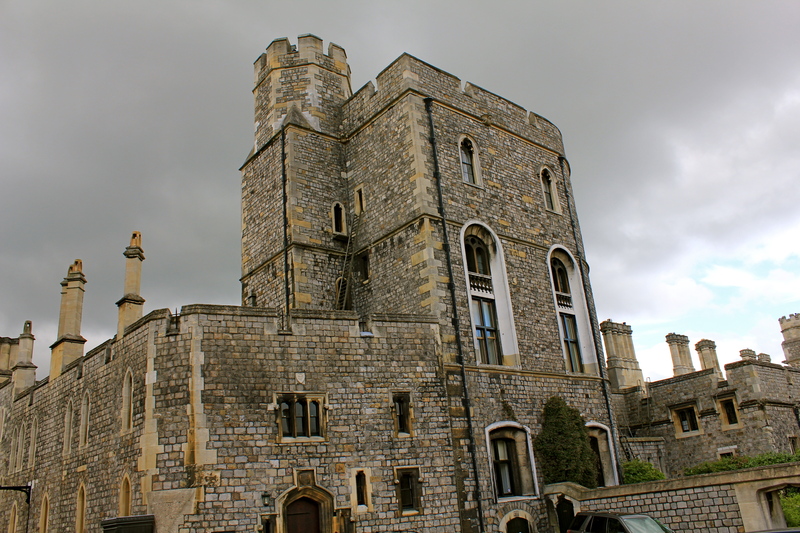 Our first destination was to Windsor Castle about 45 minutes to the west of London. 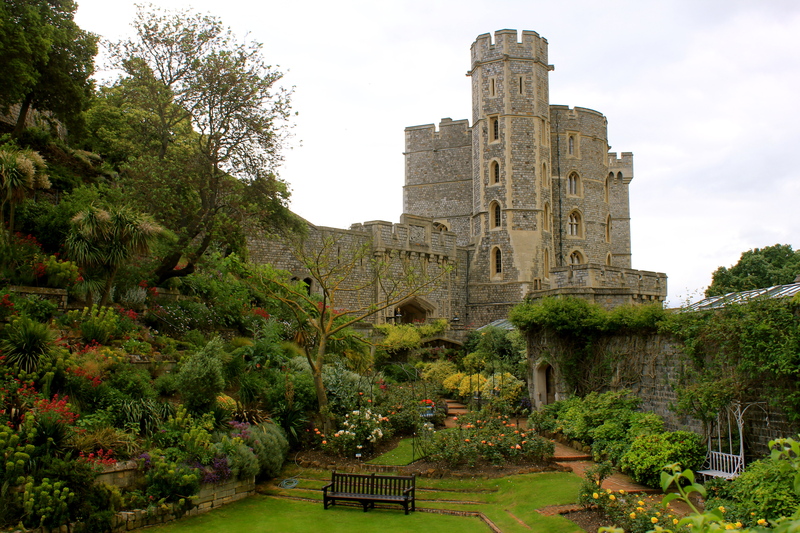 The castle is still in use by the Royal Family, and in fact, the Queen was there during our visit. 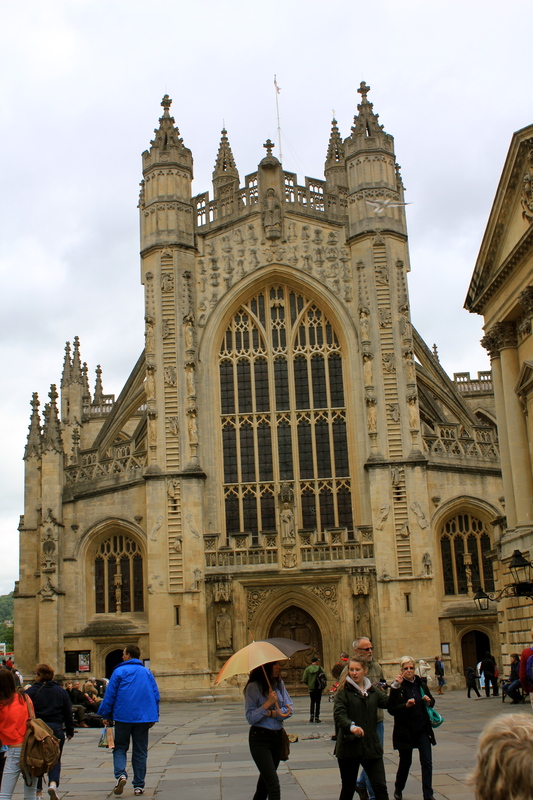 Even though she never invited us inside for tea and crumpets, we think we got to see her walking into a chapel. 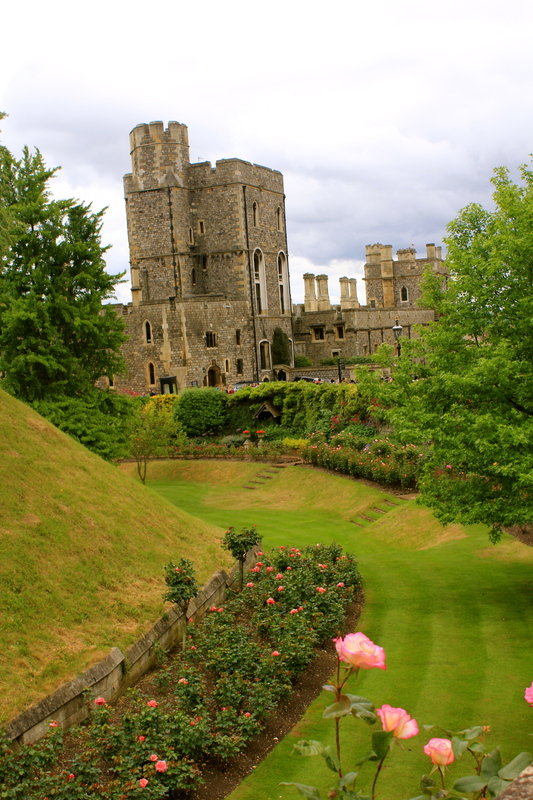 The castle is very imposing, while at the same time very beautiful to see, especially with all the little side gardens. Our next stop was about another 45 minutes to the west to Stonehenge. When I was in the 11th grade, I made a clay model of Stonehenge for a history project that was about 1’x1′ square with the stones about 4-6″ tall. It was an awesome model, and with the research I did then, I always wanted to see the place. Amanda knew this, and this was the reason she booked this trip. After driving through rolling hillsides, we come upon Stonehenge. We were there on June 23rd, which was 2 days after the Summer Solstice, which if you know anything about Stonehenge understand its significance. On this day, the sun rises directly above a stone viewed from the center of the monument. It is believed that Stonehenge was used to track the movements of the sun, moon, and stars; and was the site of many pagan celebrations (that or the site of aliens landing on Earth). 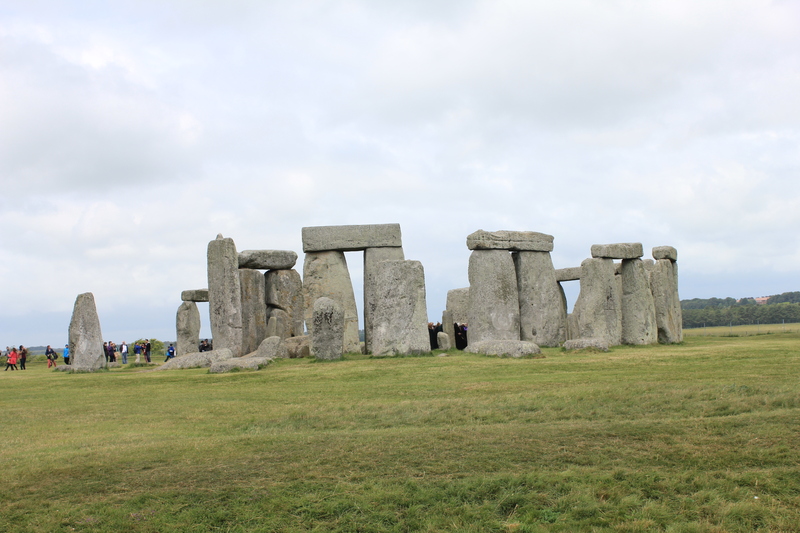 It is amazing to me, as an engineer, to see these large several hundred ton stones that were transported from 100 miles away and lifted into place…..5,000 years ago!! 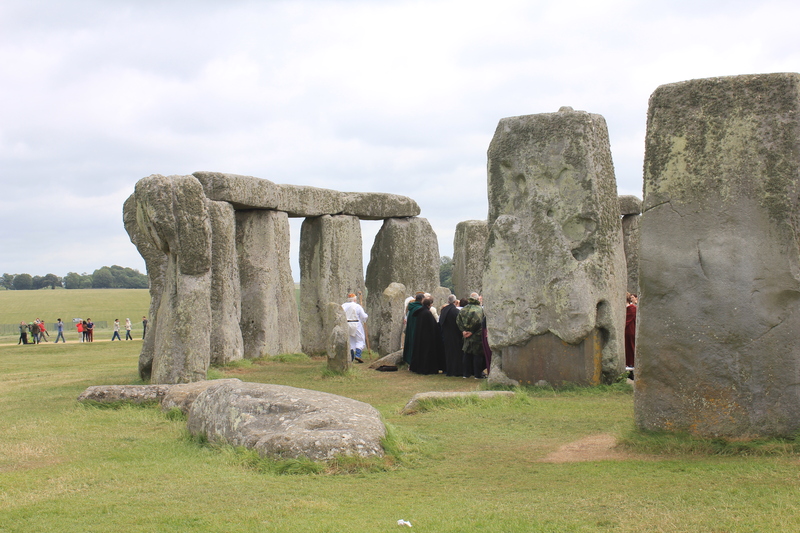 The real secret to how Stonehenge was built…..
Our next stop was to the Village of Lacock, England about 30 minutes away for lunch. 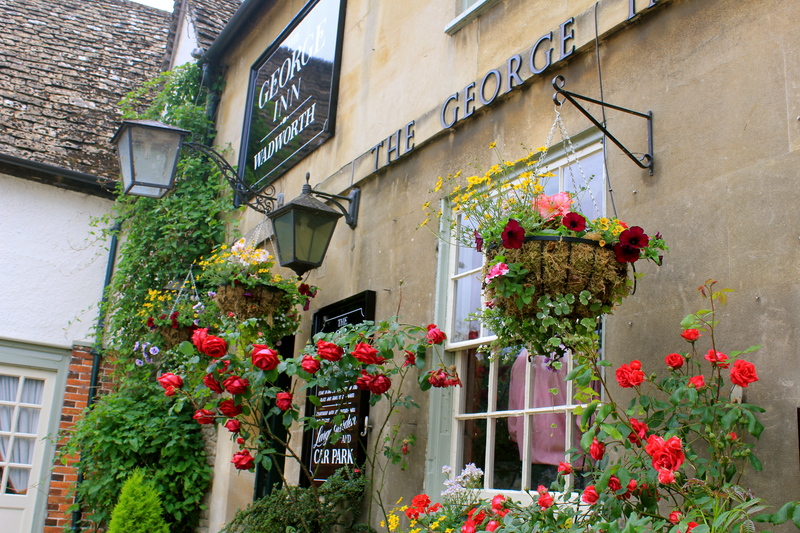 The interesting thing about Lacock is that the houses and streets were used as backgrounds to a couple of the Harry Potter movies. This is due to the town restricting any modern antennas, satellite dishes, or signs in the town; therefore it is almost like stepping back into time. 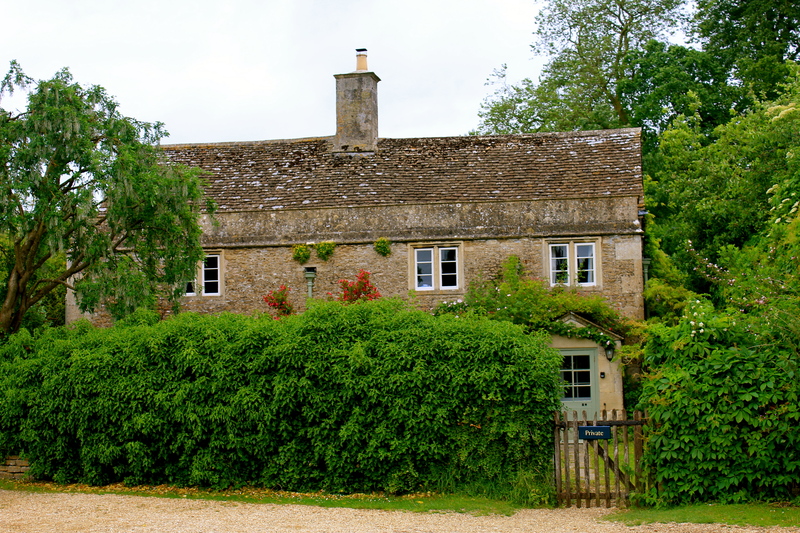 The house used as the house of Harry Potter’s parents in the movie…. 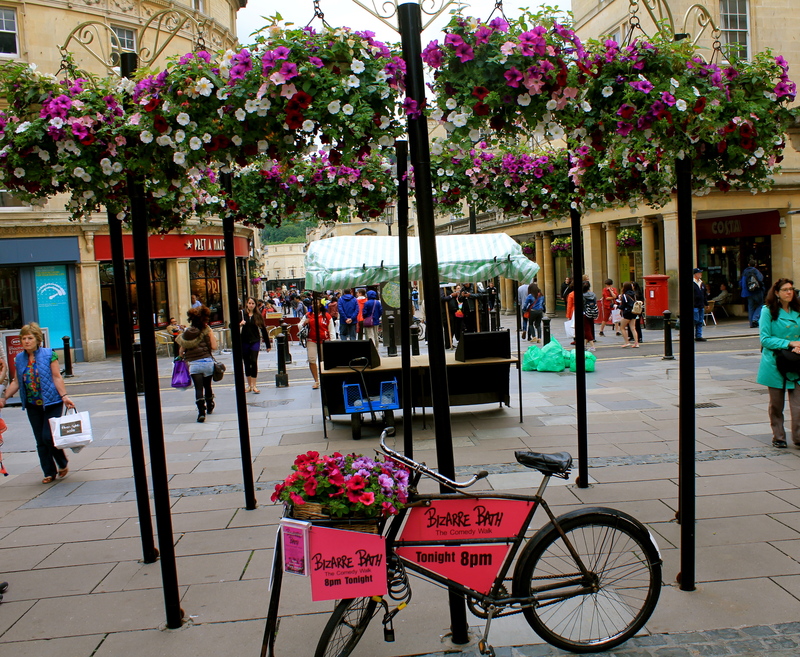 And, then our last stop was about 45 minutes, still going west, to the City of Bath, England. The neat thing about this visit is that Amanda’s hometown in Bath, New York. So, she was visiting her hometown’s namesake. This was our only stop where the weather was not the best, but it was still great to see. 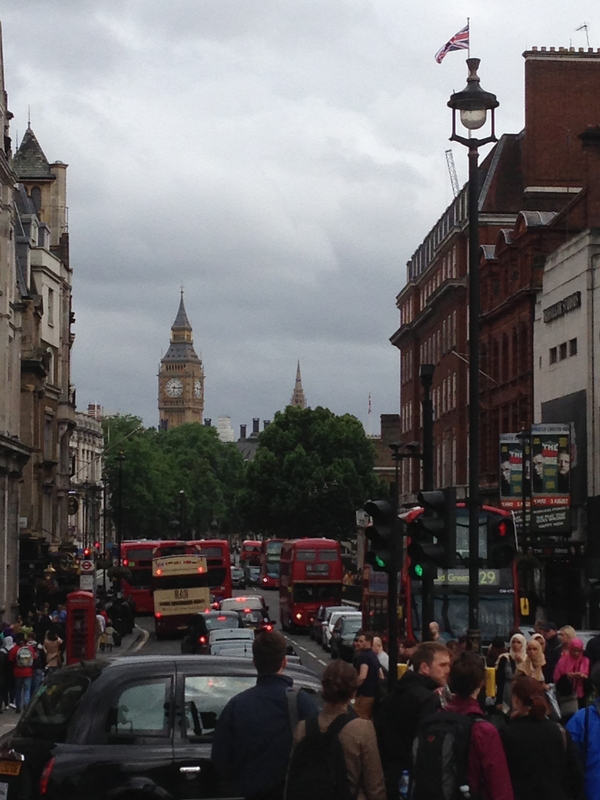 Then, after 7 hours, it was time for the 90 minute ride back to London and our hotel. This was a very nice bus tour. We did not feel too rushed, and had plenty of time at our stops. Definitely a way to see lots of things in one day. We checked out of our hotel Monday morning and headed by train to Harwich, England, anhour to the east to catch our cruise ship. England was great, and we cannot wait to return again someday! Previous: Previous post: How Do We Sum Up Our Cruise from England to the Faroe Islands to Iceland, & to Norway? One word, WOW! So happy you were able to see the Stonehenge, Chad. How did they move all those heavy stones so many years ago? 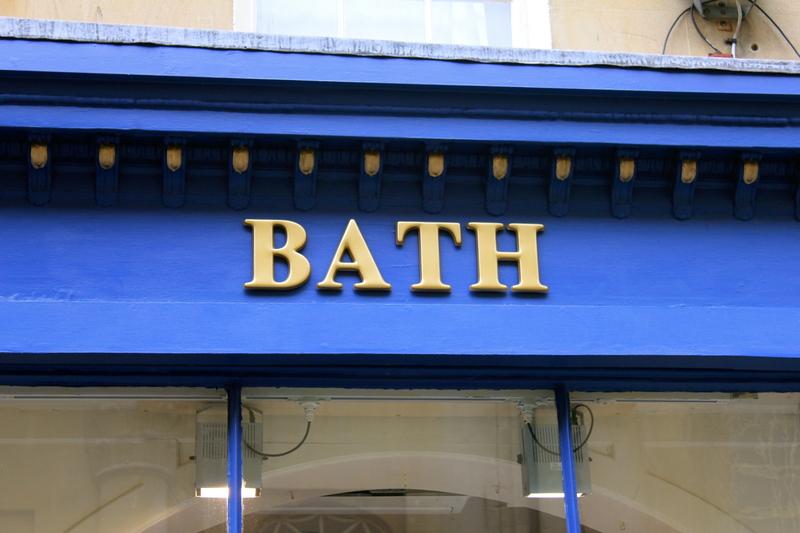 Visiting Bath, England would be great. I’m glad Amanda was able to go there……. The landscaping in the castle pictures is beautiful. Thanks for posting, Chad! !